Cleanse and condition your skin with the Nesti Dante Gli Officinali Ivy and Clove Vegetable Soap Bar. Crafted with the finest, natural ingredients, the Ivy and Clove Vegetable Soap will leave skin silky-smooth to the touch and thoroughly cleansed. 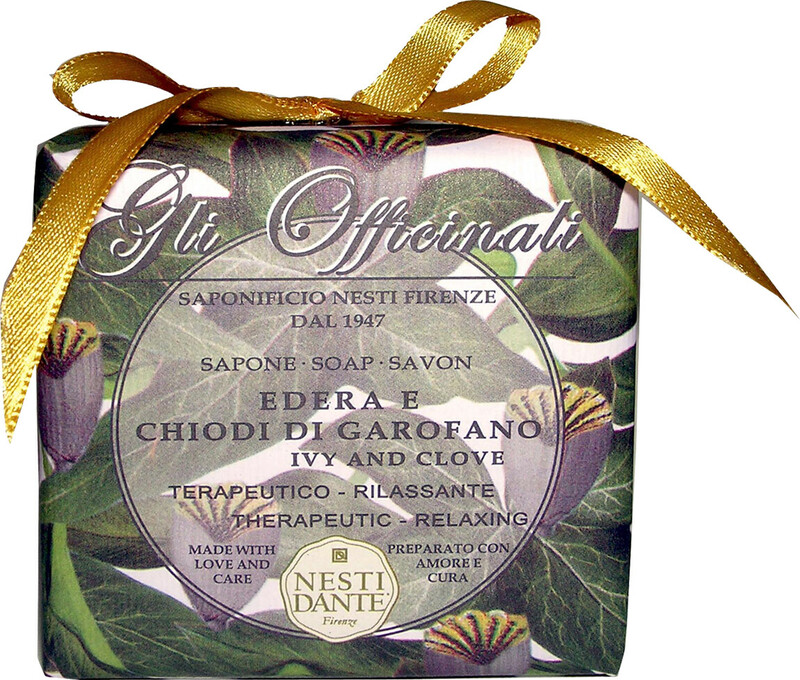 Designed to comfort and soothe, the luxurious soap is the ultimate treat for the skin and senses, its relaxing green aroma the perfect remedy for a stressful day. The skin-loving formulas are a pleasure to use, leaving the skin soft, smooth and silky. Hand-finished with a bow and beautiful floral illustrated paper, the Ivy and Clove Soap would make the perfect gift. Smooth the soap all over damp skin and lather, then thoroughly rinse.